I’m going to keep this short and sweet – I’m running a little bit behind on my to-do list! 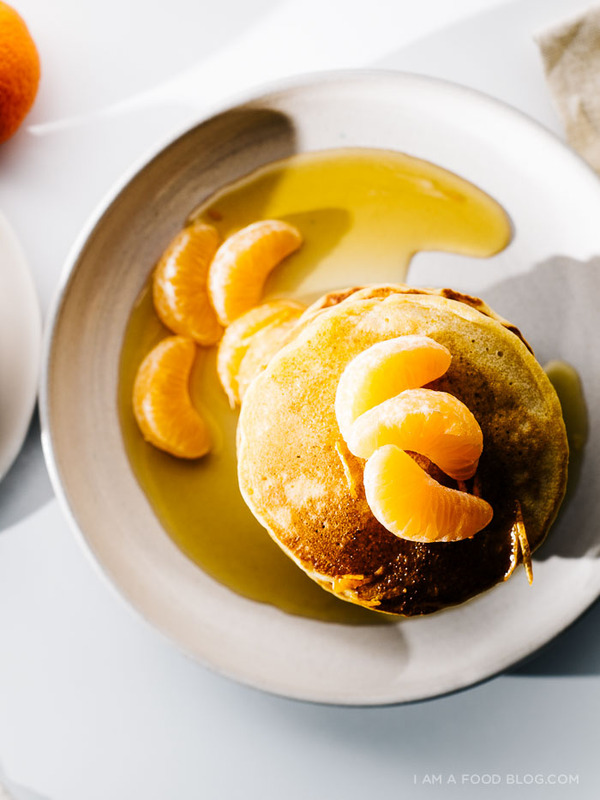 These thin and crispy cornmeal cakes are just the thing when you’re looking for a hearty breakfast that’s full of sunshine. These little guys come from Aimée’s new book, Brown Eggs and Jam Jars. If you’re looking for a book that is full of urban homesteading tips, family friendly recipes, and warmth and coziness, dig in! In a small pot, whisk together the honey and juice. Stir until the mix comes to a boil and the juice is completely incorporated. Remove from the heat and stir in the zest. Cool slightly before serving – syrup with thicken as it cools. In a large bowl, whisk together the flour, cornmeal and baking soda. In a small microwave safe bowl, melt the butter and stir in the honey. Set aside to cool. Measure out the buttermilk in a liquid measuring cup and whisk in the eggs. Add the liquid to the flour and stir. Add the butter-honey mix and beat well. Heat up a heavy-bottomed non-stick or cast iron skillet over medium heat and lightly brush with oil. Add batter to the pan and cook until small bubbles form and edges are crisp. Flip and cook until lightly browned. 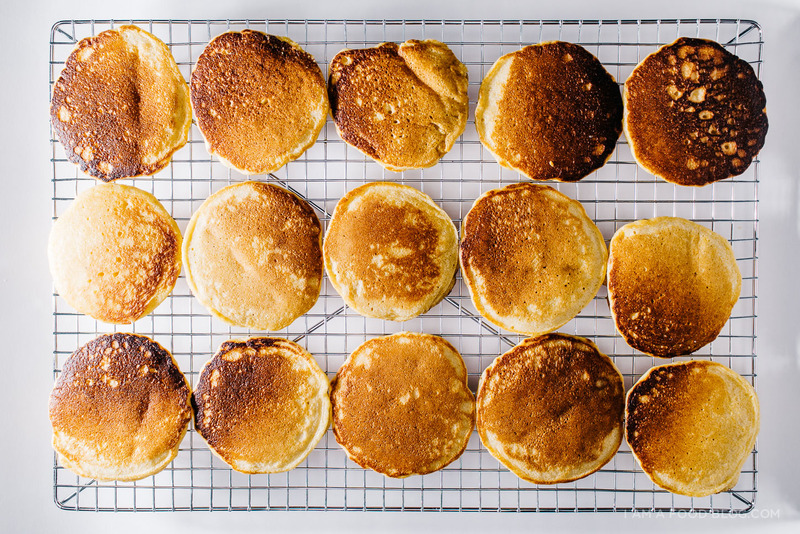 Keep pancakes warm in a clean tea towel until all your batter is done. Serve hot with the syrup. That is such a gorgeous stack of pancakes! 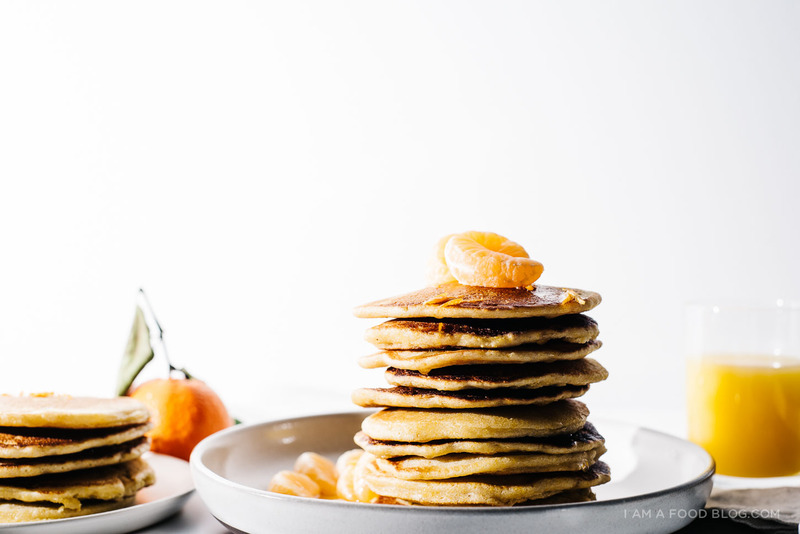 I am always just a little obsessed with pancakes this time of year, especially on weekends. Yessss. Breakfast pastries with cornmeal in them = the way to my cold, cold heart. Also, honey + clementine? So lovely. Looks good! I’ve never had cornmeal pancakes before. 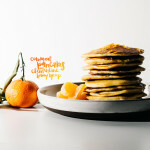 I bet the orange flavor of these would make them a delicious spring brunch item! 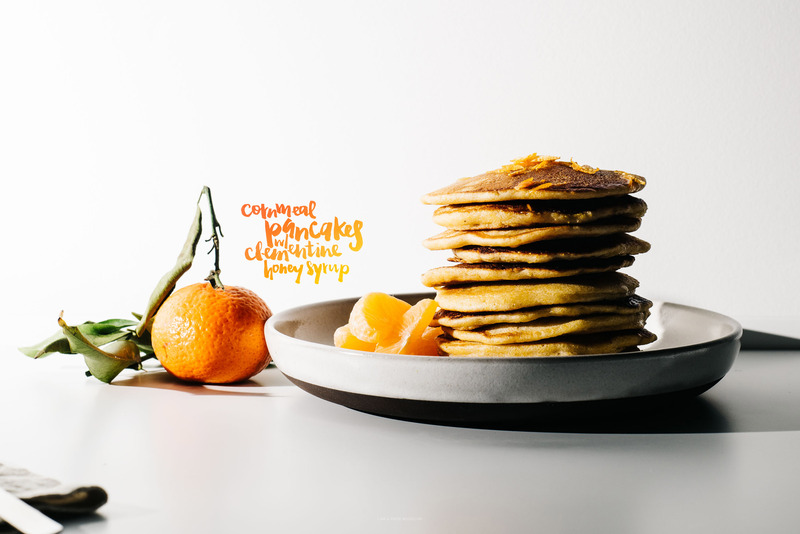 Mmm these sound amazing – love the sound of using cornmeal! We had cornmeal pancakes this weekend and they were awesome! Although a nice, citrusy syrup definitely would have made them better. Next time! I love pancakes and your syrup is so cool and interesting. 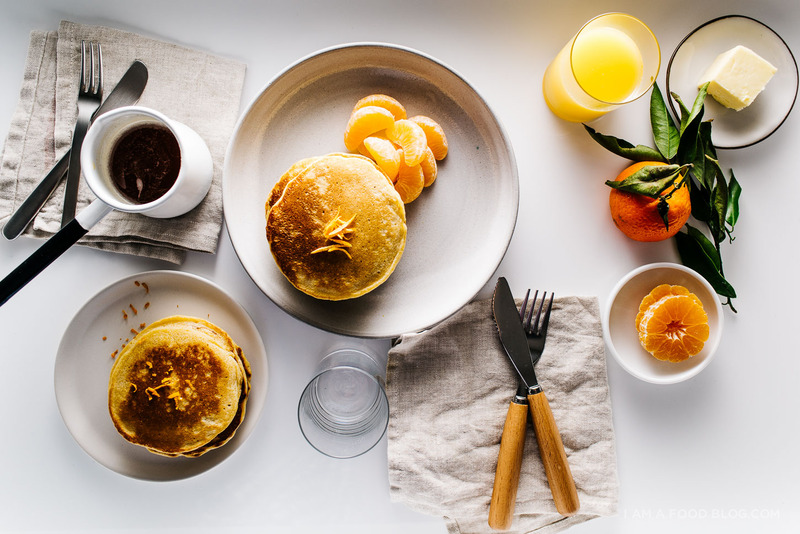 This breakfast for dinner might happen soon. That syrup! I want to make a cocktail out of it! Your time is perfect for Tuesday! The flavour also works with Chinese new year! 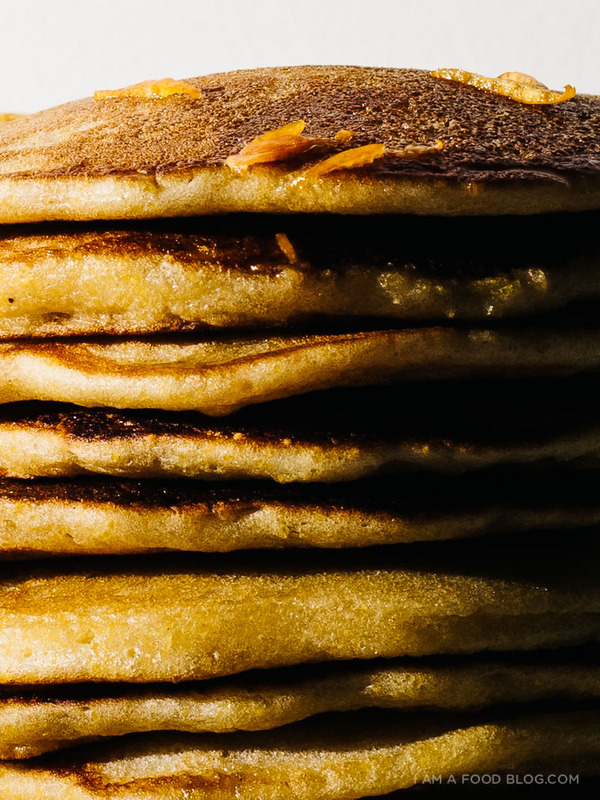 Love the crispy edge of pancake and your use of cornmeal means I got to try it. I am a lover of cornmeal anything. Swoon! These pancakes look fantastic! 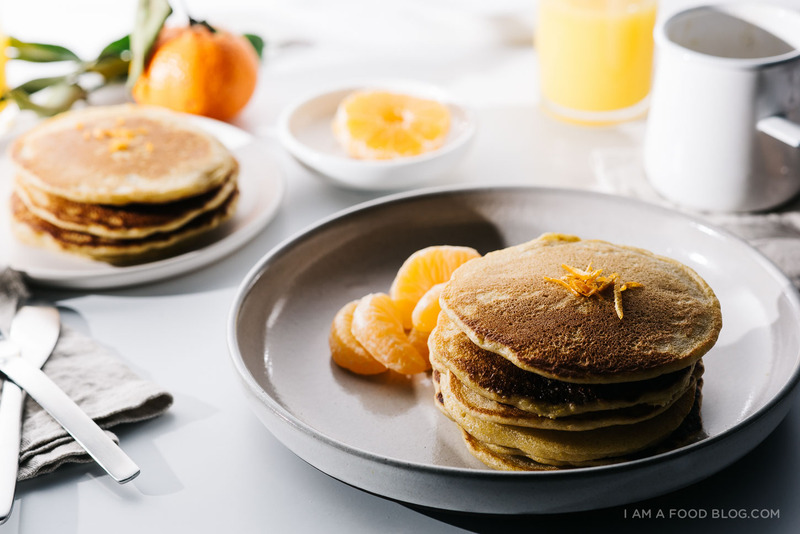 I LOVE cornmeal in pancakes – my grandmother always made them that way so it’s partly nostalgia, but it’s also that fabulous crunch! 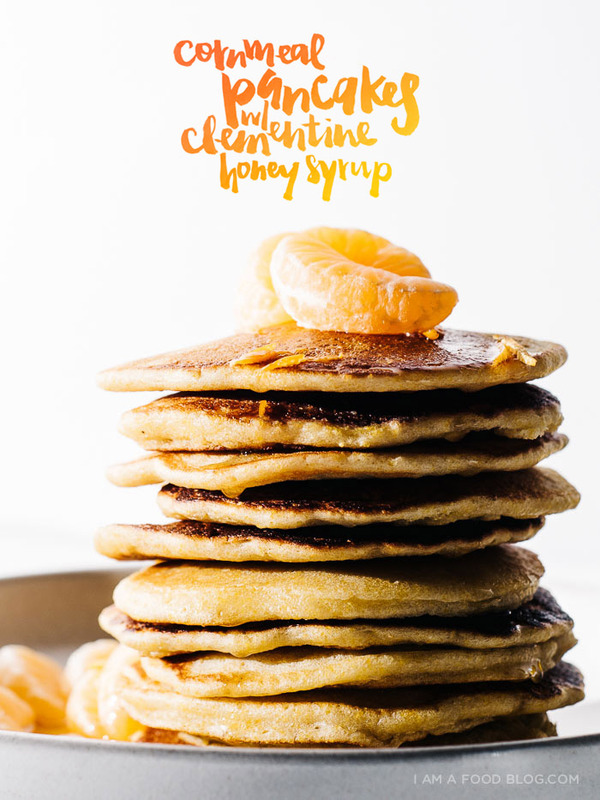 The honey clementine syrup sounds simple, refreshing, perfect! Could you please make a “print” button? There are so many recipes of yours that I want to print/try but the fact that there is no printable button holds me back. I love making breakfast home on weekends, and I love the idea of cornmeal muffins. Question – my guy can’t eat dairy. Would using coconut milk or almond milk change the recipe too much? I’ve used both as substitutes, but some recipes are to-the-letter. Any thoughts? hmm, i haven’t tried but i think that almond milk might work. let me know how it goes! Oh well aren’t these just the perfect bite! love the action video as well! great photos here Stephanie! This recipe looks absolutely delicious. Perfect for Sunday brunch, which is probably my favourite meal of the week :) I’m looking forward to seeing more of your brunch recipes. 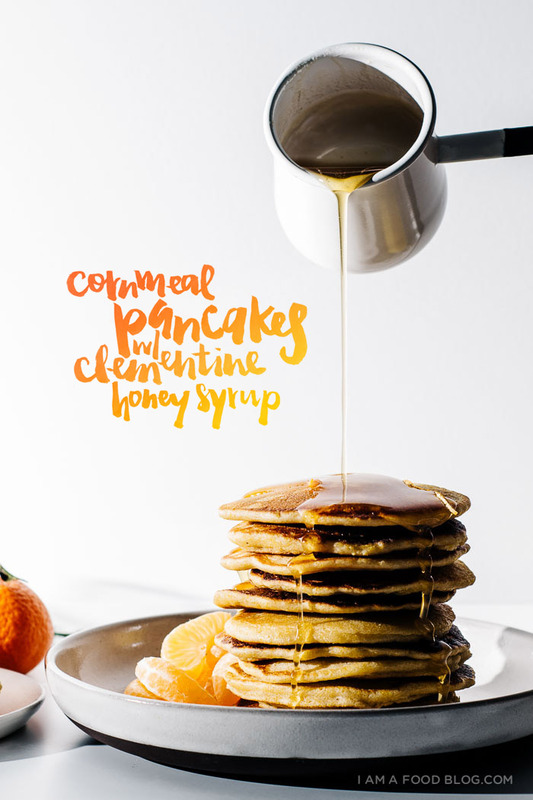 i’d never thought to combine citrus juice and honey as a syrup! aaaaaaa i love it! gorgeous post.